Griffin’s Retractable USB Charge Cable is the perfect portable charging solution for Apple devices. Measuring less than 2x4 inches wide and half an inch thick, this compact design fits easily into bags or even your pocket. 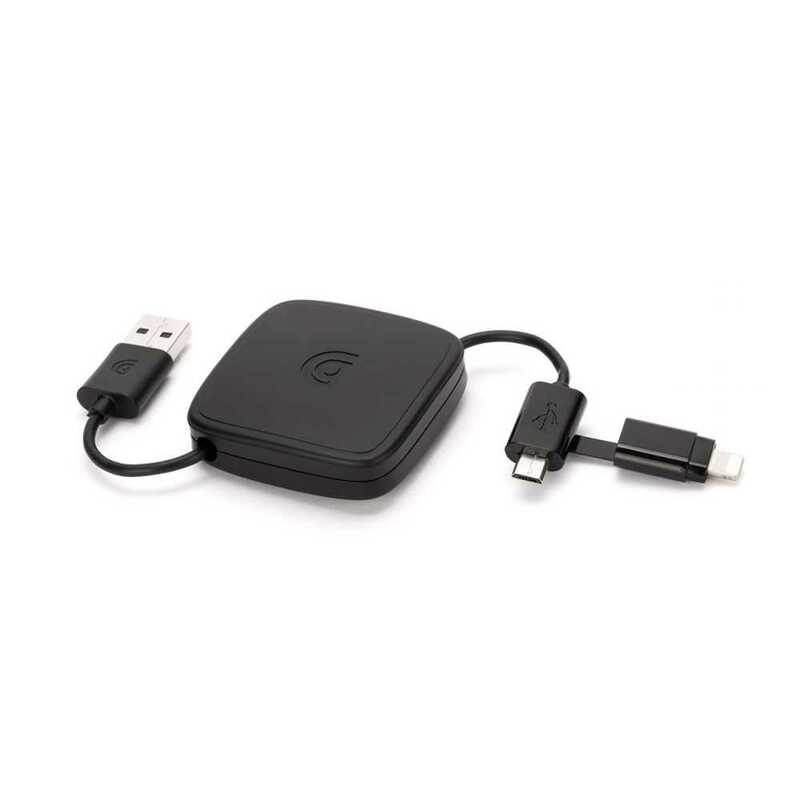 The spring loaded, retractable cable provides 27inches (0.68m) of tangle-resistant length with built-in USB to Micro USB connection. 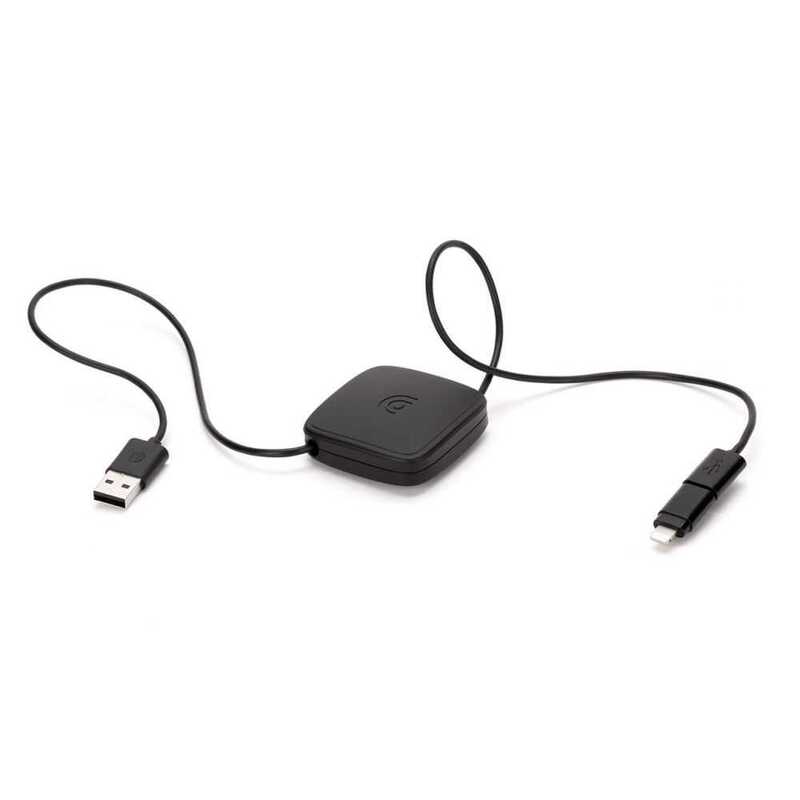 The Micro USB connector is also equipped with a swivel-on/swivel-off (tethered so it never gets lost) Lightning connector for charging and syncing your iPod, iPad or iPhone.